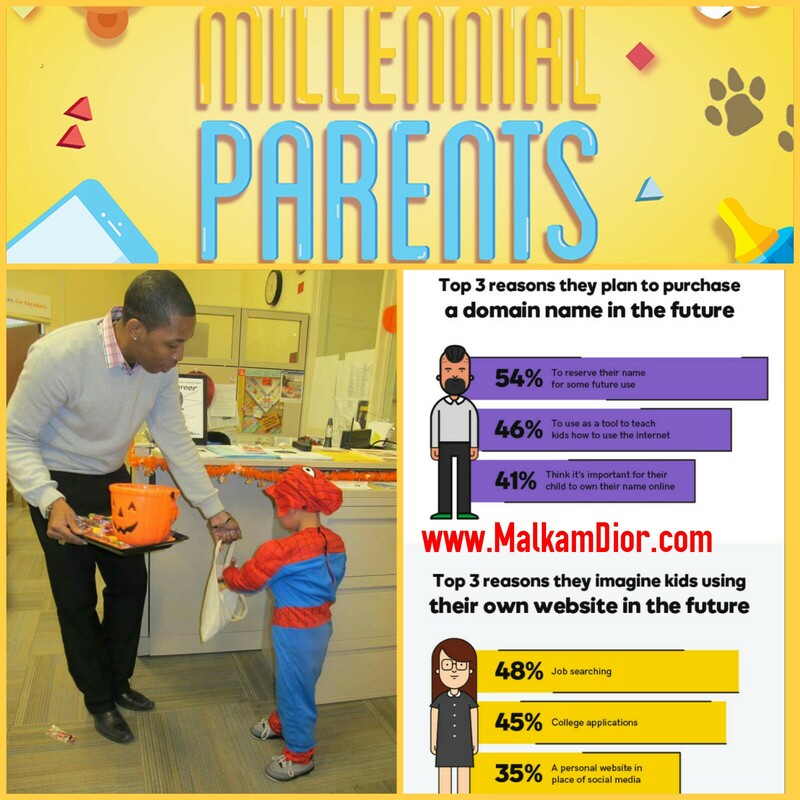 Are you Marketing to Millennial Parents? Here's 4 Tips to Attract Millennials to your business . Parents are changing and technology isn’t keeping up. This blog looks at the developing group of Millennials who have been brought up with technology and other advances that previous generations just didn’t have. We the millennial parents will use technology to home school children. Normal schooling will just be for social integration. What’s more, many of them have grown up, they are having kids; how do you really market to them? Millennials, a large group of society that is prime for marketing at, is something you cannot afford to ignore; yet many of the old “marketing tricks” or tried-and-tested approaches are not so relevant today. Millennials with kids, oh what a brave new world that awaits our considered marketing might. They usually have a university degree or some sort of technical training. Some of them might still be carrying out their studies. Millennials are interested in learning other languages. They’re well informed about their rights and duties as citizens. Many opt to work independently from home as freelancers. This allows them to organize and optimize their time in a better way. They’re also people who’ve lived through distinct technological breakthroughs and experiences. As a result, they’re capable of adapting to change efficiently. They’re very interested in the latest technology. Pragmatic, diverse, and digitally native, this massive cohort of 80 million are now entering their prime consumer years, having children of their own, and shifting priorities as they move solidly into adulthood. Millennials with Kids changes how we think about this new generation of parents and uncovers profound insights for marketers and brand strategists seeking to earn their loyalty. Building on the highly acclaimed Marketing to Millennials, this blog captures data from a new large-scale generational study and reveals how to: Enlist Millennial parents as co-creators of brands and products. 4 Tips to Attract Millennial Parents - Find out who you're actually talking to. Cultivate shareability - It's no longer a teenage wasteland. They're adulting now. They have kids, they're growing up quickly & they're evolving into the most powerful purchasing decision makers to your brand that exist today. 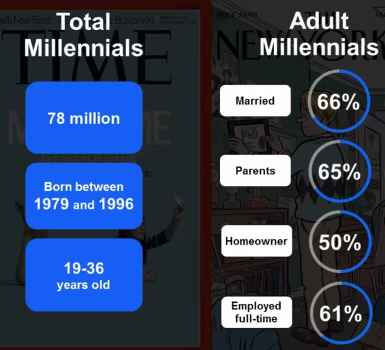 Where millennials go, so does everyone else. Focus on this group and your content can resonate far outside the nice and tidy demographic you think is your current target. Democratize customer experience - Know that you must be bringing more value outside your product and answering questions like why your brand exists & how are you going to help communities, neighborhoods, cities, countries & the world. Integrate Technology - The millennial parent is using technology. Machine learning will be used to not just replace workers, but to help coach them to operate more like machines in the coming years. Scared? Post millennial generations won't. Be scared because technology will have been their surrogates parent since birth. Develop content-driven campaigns that speak to Millennials - Brands need to communicate with this generation. We need to understand why carpet bombing approach of reach & frequency will fall on deaf ears if it isn't followed with building a deeper relationship with the consumer by bringing value to your consumer. It's more than just better targeting a group of people. This is a complete shift in how we will communicate & interact with brands. According to Pew Research - "Some 1.2 million Millennial women gave birth for the first time in 2016, according to National Center for Health Statistics data, raising the total number of U.S. women in this generation who have become mothers to more than 17 million. All told, Millennial women (those born from 1981 to 1996) accounted for 82% of U.S. births in 2016. At the same time, Millennials made up 29% of the adult U.S. population and more than a third of the U.S. workforce (35%)." Being a “millennial parent” is kinda weird.. You want your kids to have tradition in certain areas like how your parents taught you but it’s so much going on this day and age you have to be aware of your surroundings like technology and growing them out of what your parents lack. In conclusion, maybe this blog can help you attract and retain interest from this highly informed, quite cynical, vocal, expectant and demanding group of consumers that increasingly occupy prime “real estate” for your sales and marketing efforts.